Details: TheRawFeed Exclusive! Take an Extra 2% Off Emirates Fares When Traveling To India and 4% Off Emirates Fares When Traveling To Asia, Africa, & The Middle East . Must travel out of the following 7 US Gateways: JFK (NYC), IAH (Houston), DFW (Dallas), LAX (Las Angeles), SFO (San Francisco), SEA (Seattle), and IAD (D.C.). Offer Expires 8/31/13. 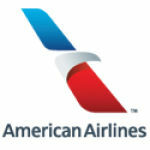 Details: View All American Airlines Travel Deals & Last Minute Flights. Click to activate. No code needed. Details: Book a Package & Save. Earn 2,500 Bonus Miles, Free Days at Disneyland, 50% Off All-Inclusive Packages, and more! Details: Save a Bundle When you Bundle! Now save up to $40 off airfare per passenger when you book your flight and hotel together.